I found the perfect software to correct my photos! After years without setting hands on a single camera, the desire to take up photography again naturally returned after the birth of my children, who became my primary subjects for portraits and other types of shots. The problem with my dear toddlers, as with many children, is that they are not easy to photograph when they are moving, for example when they are playing. I often ended up with photos ruined by unsightly items in the background or unknown people in public places. 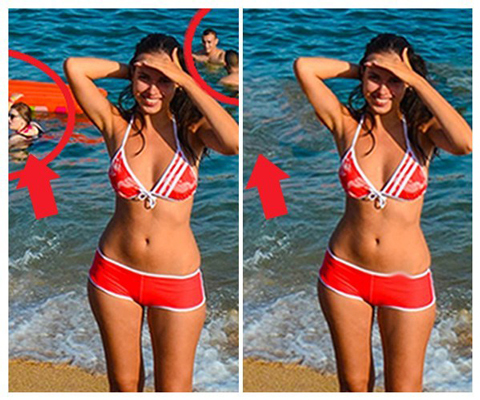 During a conversation with a friend who is also passionate about photography, the issue of using photo correction software came up. Recalling the prices charged by software vendors at the time, I was not too excited about the idea. While searching again on the Internet, I came across a software product called (). And what a nice surprise! After giving it a try, it was exactly what I expected of photo correction software. It has a user-friendly interface and all the main tools I need to correct my photos. The software has features that I had never seen anywhere else. I simply use the brush tool to color the elements I want to remove and…with one click, the unwanted item disappears from my photo! 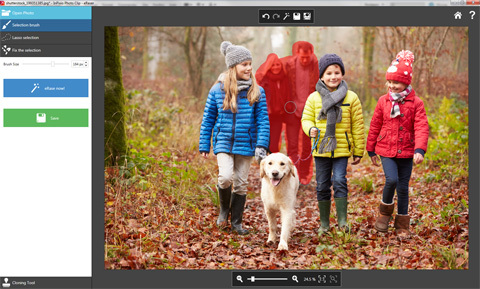 The background is automatically generated and I can tell you that it’s very effective for removing people in the background from photos of my children. I find to be both easy-to-use and full-featured. Among other things, it lets you create photomontages quite easily and, above all, very fast, and the result is guaranteed. You can use a demo version to test Photo Clip. The publisher even offers to reimburse you if you are not satisfied! If like me you want to get down to basics to improve your photos, I strongly recommend . It really is that simple to use and I think it’s a bargain. I like to use InPixio software because it is generally quite easy and straightforward and produces great results. It also is not crowded with a lot of features that you will likely not use. Made for easy and fast editing. I’m using Photo Clip which is much easier to use than any Photoshop & co. Really nice one! Great range! Bought Photo Clip and Photo Maximizer from InPixio. What I like is that it is really easy to use. Great job, guys!